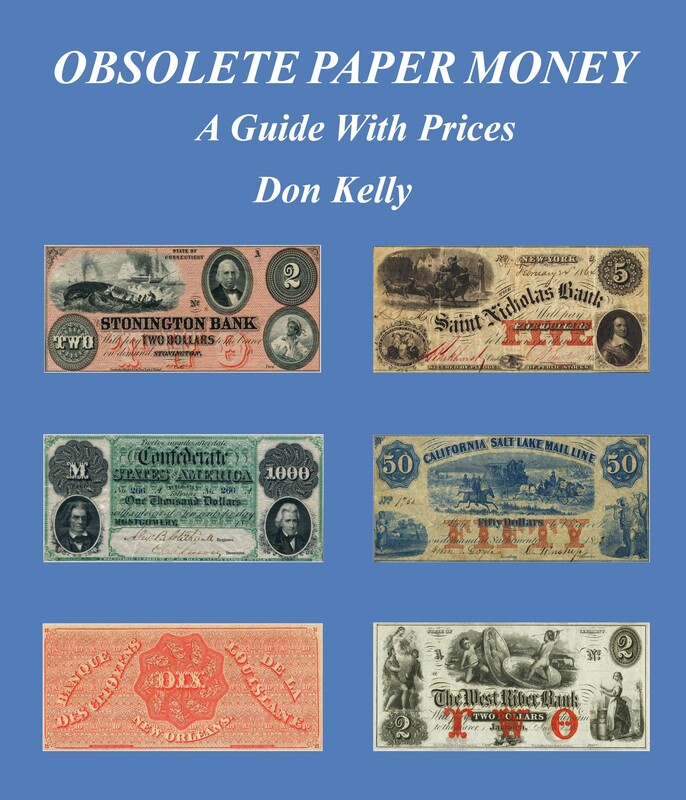 OBSOLETE PAPER MONEY - Our new (2018) book. What are "Criswell Numbers"? I am asked this question frequently. The check shown above hints at the style of Grover C. Criswell (1934-1999), a flamboyant and energetic dealer who specialized in Confederate and Southern States currency. Grover authored several books including "Confederate and Southern States Currency" and "North American Currency". In the former publication Grover developed a numbering system for identifying the many varieties of notes. The Criswell numbering system was based on the work of William Bradbeer and is still widely used today. Grover's works inspired a generation of collectors. Take a close look at the check above. Notice that it was redeemable in Confederate currency! !